When our grandaughter was here this summer she was wearing a dress I had made but was now too tight in the armholes. She asked me to fix it. So, I cut the skirt off at the empire waistline and added a waistband with elastic. Then I took it to TN Quilts and found a fabric that complemented the skirt for a long sleeved blouse. Then I decided it needed leggings and a camisole which I found at Target. It just needs either white or gray ruffle socks to complete the ensemble. 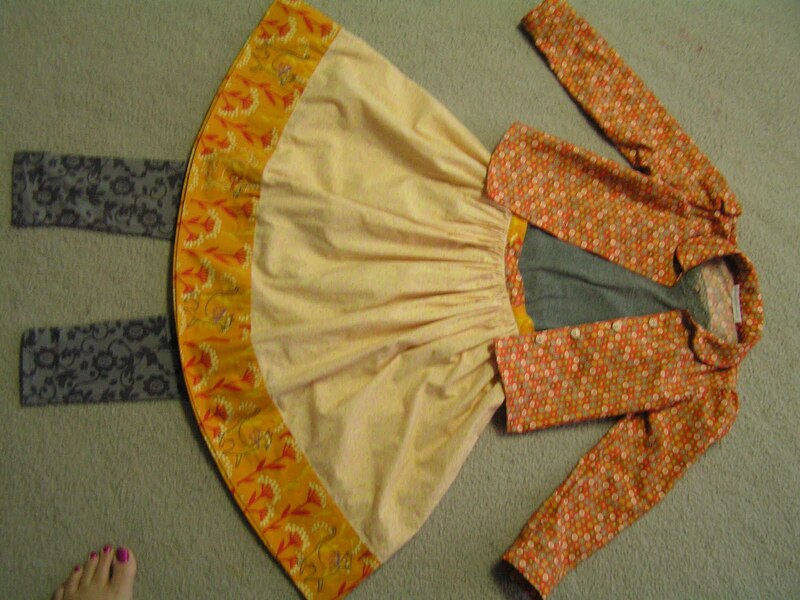 It is so much fun to sew children's clothing! I know a little girl who will look wonderful in this great ensemble!